I’m Erin-Ashley and I’m an empath. I’ve gone through the whole journey of self-discovery and learning how to prosper as an empath on my own. Feeling other people’s emotions all the time can be difficult and overwhelming. It took a lot of time, work, and research on my end to discover the principles and strategies that really work to help sensitive people discover who they are and learn the skills they need to succeed. 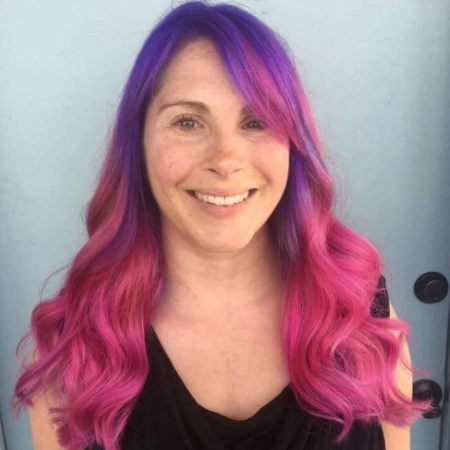 I want to show you what I’ve learned along the way — both in my own life and from working with hundreds of clients who are empaths. 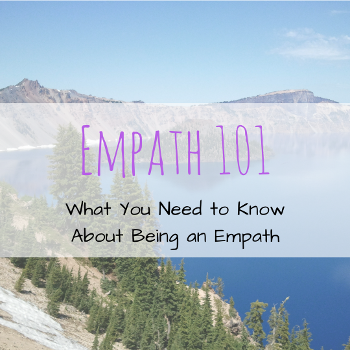 First, what is an empath? An empath is a person who experiences what other people are experiencing as they experience it. If you’re an empath, you pick up on the thoughts, feelings, and sensations of other people around you all the time. It can be tough to know if what you’re experiencing is truly yours — or someone else’s! You can manage it AND turn it into a STRENGTH! Go through the resources on this page below. If you like what you can see, you can download a FREE meditation I designed to help you relieve stress. It’s a great fit for an empath looking for some inner peace. I created this short video to teach you how to tell very quickly whether or not you are an empath. Seriously, the video’s only four minutes! Make sure you watch it to get your burning question answered. Once you know if you’re an empath, you can dive into the rest of the guide below. It’s normal to experience doubts about whether any of this is real. Maybe you wonder whether you’re making it up. Check out the above article in which I explain the basics behind how being an empath works and why it’s real. Here at Spiritual Mechanic, I like to take a look at the physical nature of intuition as well as the purely energetic dimension. If you’re looking for more scientific backing of how being an empath works, then the video above is for you. I spent a lot of time doing scientific research into what makes empaths tick. One of our most popular videos! Being an empath isn’t a one-size-fits-all type of situation. Through my research and talking with many people, I discovered that there are five distinct types of empaths. Knowing WHICH type you are is important to discovering what strategies you need to use to get the results and everyday experience you desire. Watch the video, learn what type of empath you are, then continue this free guide below to learn more about how to get the most out of life. As an empath, it’s normal for you to feel what people around you feel. It can be hard to deal with sometimes. It can drain and overwhelm you. The first step is learning how to identify whether what you’re experiencing is yours — or someone else’s. It’s an ESSENTIAL skill for a healthy life as an empath! Click the link above to learn the trick I discovered to quickly tell whether a feeling belongs to you. Then check out the next video below. Once you learn how to tell the difference between your energy and someone else’s, the next step is to learn how to keep other people’s energy out of your own. I came up with a simple 5-step process you can follow to make sure your energy is really YOURS going forward. Watch the video above to learn my step-by-step plan for feeling free and clear. You can learn to manage your seven chakras (your body’s energy centers) as a way to control the flow of energy and emotions in your body. It’s a helpful way to optimize your emotional and energetic help, especially once you understand the ideas and strategies you learned in the earlier resources on this page. This comprehensive chakra management guide shows you in detail how to manage each one of those pesky seven chakras. With these strategies, you’ll be able to control all seven of your body’s energy centers! You made it. Great work, fellow empath! Thanks for taking the time to go through these resources. I recognize the important commitment you’re making to yourself in doing so. I designed those resources to give you the perfect tools for starting to build the kind of healthy, energetic foundation you need for life as an empath. As a bonus for the work you just did, I’d like to offer you a free meditation for releasing stress. Sometimes as an empath, you need a little extra kick to push through the overwhelm and return to a place of peace. I created the meditation to help you do just that. To get the meditation, just enter your name and email address in the purple box below! Sign up for free using the form below to download your free meditation for releasing stress -- an important addition to any empath's life!